Note: If you react very easily omit the chocolate as it is a trigger. Preheat the oven to 175°C. Whisk the butter/margarine/oil with the sugar, gradually add the egg yolks. Mix flour with baking powder and cinnamon and add to the butter-egg-yolk-mix. Add zucchini and oat flakes to the dough. If the dough is too dry add some milk. You can also use rice or oat milk. Pour the dough in a muffin tray. Bake for about 35 minutes. A) For icing mix powdered sugar with some hot water. The mass should be viscous and thick. Add the water by the tablespoon slowly. Ice the cool muffins. B) Break the white chocolate to small pieces. Melt the white chocolate bits by bain-marie. Don’t cook the chocolate! Pour the still liquid chocolate over the cool muffins. 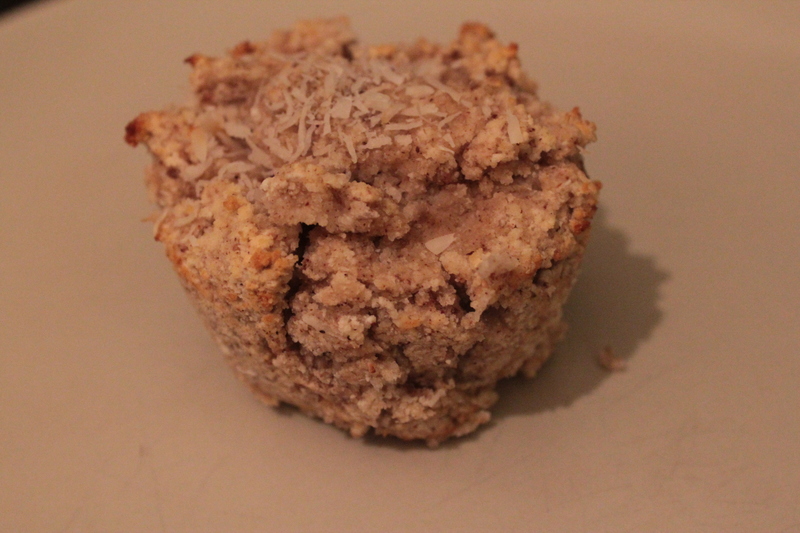 C) Just sprinkle some powdered sugar or coconut flakes over the muffins. Whisk egg with sugar. Add oil. 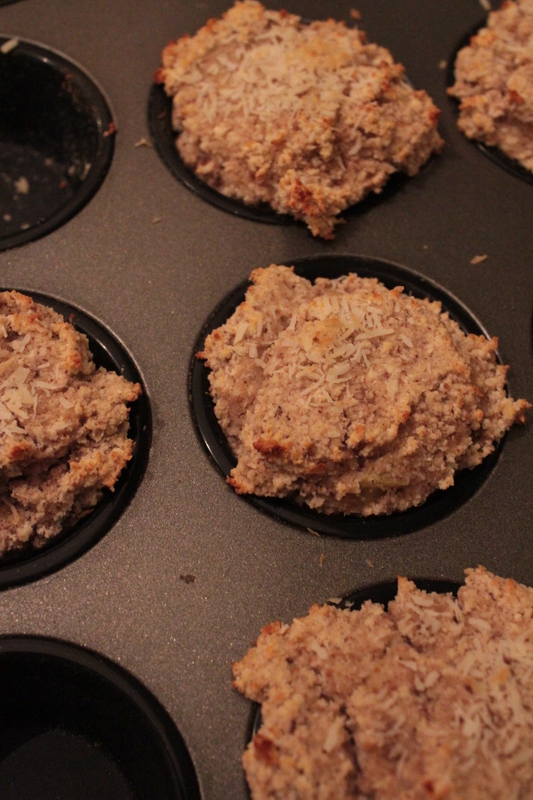 Mix flour, baking powder and coconut flakes und add to the egg-sugar-mix. Grate half of a zucchini. 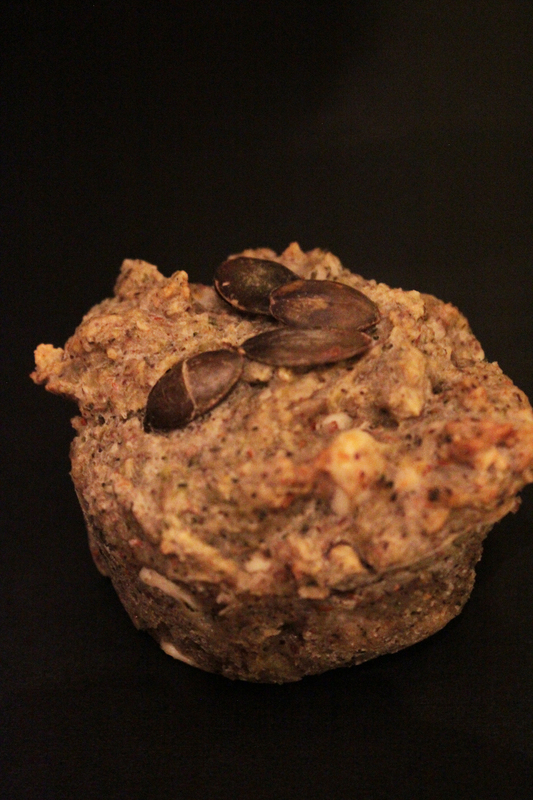 Add this and the leftovers from juicing an apple and a carrot to make a dough. Pour the dough in a muffin tray. Bake for about 25 minutes at ca. 180°C in the preheated oven.